In 1956, Paul Stack Company was introduced to the marketplace as a Rep Agency for Pipe-Valve-Fitting and Plumbing Manufacturers, selling distributors in NC & SC, and calling on Consulting and Process Engineers for specification work. Sixty (60) years later, the same agency is re-introducing itself with a new name, Flow Reps, and a new strategy called Power-of-1 Marketing. In 1956, Paul Stack Company was introduced to the marketplace as a Rep Agency for Pipe-Valve-Fitting and Plumbing Manufacturers, selling distributors in NC & SC, and calling on Consulting and Process Engineers for specification work. --Connect those interested back to our distributor-partners. One of the manufacturers represented by Flow Reps is Empire Industries. Empire was started in the early 1940s. Today, Empire offers a full-line of pipe hangers, supports, and strut accessories, both as a domestic manufacturer and master importer. One of the tools in the Power-of-1 Marketing toolkit is 1-minute Instructional Videos; these videos are created in the Flow Reps state-of-the-art 1,000 square foot broadcast studio. Flow Reps (formerly known as Paul Stack Company & Stack Marketing Service) is a Manufacturer's Rep Agency covering NC & SC. Empire manufactures pipe hangers, supports, and strut accessories. 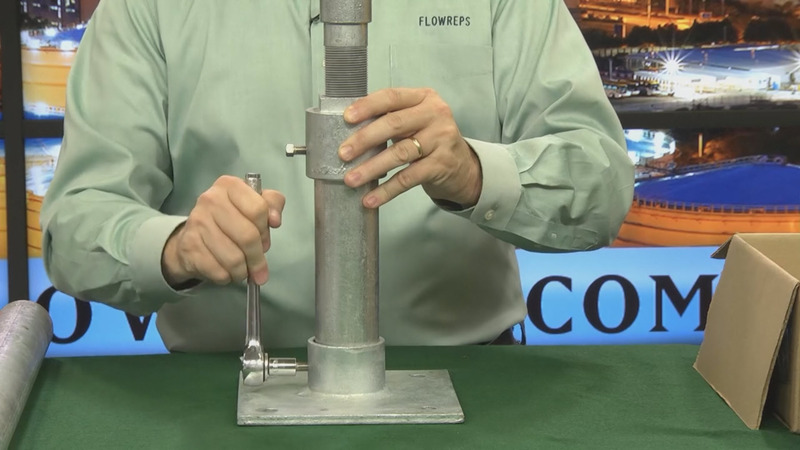 Paul Stack, Flow Reps Empire offers an adjustable pipe support kits. 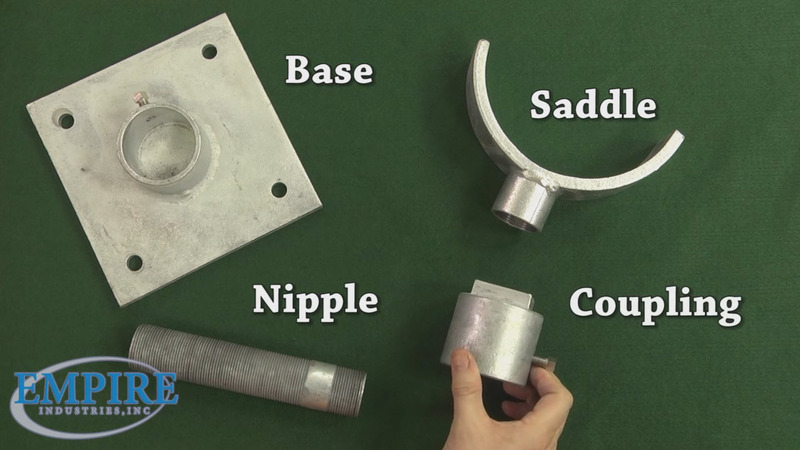 Empire offers an adjustable pipe support kits. 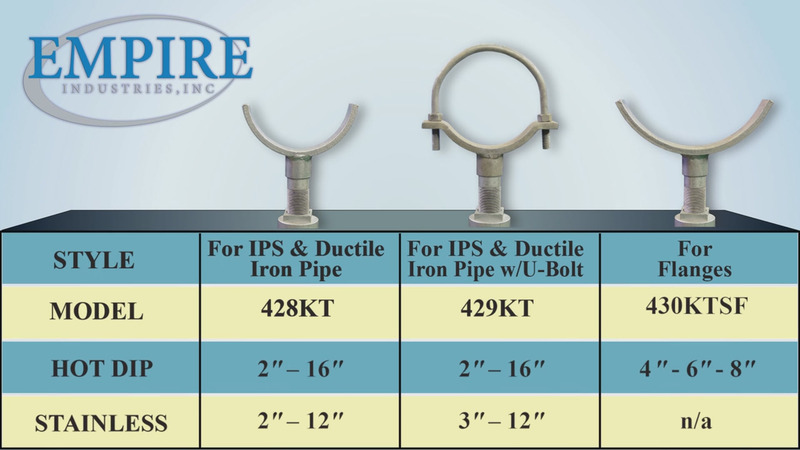 Empire offers an adjustable pipe support kits.